Kathmandu Forestry College (KAFCOL) is a vibrant and growing academic institution (a public company) located in Koteshwor, Kathmandu. The College has been running B.Sc. Forestry program in affiliation with Tribhuvan University, Nepal since its establishment in 2005, and Diploma in Forestry program in affiliation with the Council for Technical Education and Vocational Training (CTEVT), Government of Nepal, since 2009. Since 2012, KAFCOL has been collaborating with University of Salzburg, Austria to jointly run a M.Sc. Program in Geographical Information Science and Systems (UNIGIS MSc). Moreover, we have started a new M.Sc. Program in Natural Resources Management and Rural Development (MSc in NRM-RD) from 2015 in affiliation with the Tribhuvan University. The college has also been undertaking research and outreach projects related to biodiversity, forestry, and natural resources management. The College was jointly established by the Nepal Agroforestry Foundation (a national NGO working for promotion of agroforestry) and a group of forestry and natural resource management professionals. KAFCOL’s vision is to become a Centre of Excellence in Education and Research related to Forestry and Natural Resources Management. 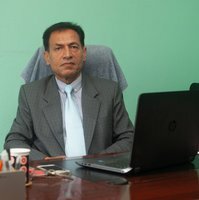 The mission of KAFCOL is to produce qualified and competent human resource, become resourceful and spread its network through education, research, training, and outreach in multi and trans-disciplinary fields (focusing on Forestry and Natural Resources Management) for addressing the ever increasing challenges of sustainable development in Nepal and South Asia. Produce competent human resources in forestry, natural resources management, GIScience and other relevant field through high quality education and research. Engage and promote interdisciplinary and multi-disciplinary research and outreach to generate new knowledge, skill, technology and practices hand-in-hand with teaching. Establish networks and collaboration with relevant institutions to improve academic excellence, policy feedback and visibility. Develop and strengthen institutional capacity. Kathmandu Forestry College (KAFCOL) was established in 2005 by the Nepal Agro-forestry Foundation and a group of like-minded professionals and academicians deeply committed to the cause of promoting quality education and research in the fields of Forestry and Natural Resource Management in Nepal. KAFCOL has been steadily growing over the years. Currently, it runs three academic programs: (i) B.Sc. Forestry in affiliation with the Tribhuvan University, Nepal, (ii) Diploma in Forestry in affiliation with the Council for Technical Education and Vocational Training (CTEVT), Government of Nepal, and (iii) M.Sc. in Geographical Information Science and Systems (GIScience) in collaboration with the University of Salzburg, Austria. In pursuit of realizing its vision to become a "centre of excellence" in education and research related to Forestry and Natural Resources Management (NRM), KAFCOL is now preparing to offer Masters level courses in Natural Resources Management and Rural Development (NRM-RD) in affiliation with the Tribhuvan University. Alongside teaching and research, KAFCOL has also been undertaking outreach projects which have greatly helped to enhance the College’s profile and visibility in Nepal and beyond. Some of our recent or current national and international collaborators include the Ministry of Forests and Soil Conservation, Government of Nepal; Hariyo Ban Program, WWF Nepal; Thompson Rivers University, Canada; and Georg-August University of Gottingen, Germany. We also have a very good working relations with several other relevant agencies in Nepal (such as IUCN Nepal, International Centre for Integrated Mountain Development, National Trust for Nature Conservation, Federation of Community Forest Users in Nepal) and beyond (such as the Asian Institute of Technology, Thailand). I am very honored and privileged to be associated with KAFCOL. Drawing upon my long experience of working with the Government of Nepal and international organizations (AIT and ICIMOD), I am committed and striving to fulfill my responsibilities and overcoming challenges. Through a team of highly motivated and accomplished faculty and staff, the College is committed to provide state of the art education that has a strong blend of teaching, field practice and research components. My administration shall continue making every effort to ensure that KAFCOL has faculty and staff of high quality and that there is an excellent academic environment at the College for our faculty and students in order to make both teaching and learning highly enriching experiences. On behalf of the College Management, I would like to welcome students desirous of a unique learning experience, and high quality forestry and NRM professionals willing to team up with our esteemed faculty to join or collaborate with KAFCOL. Study tours, exposure visits and excursions are integral components of the course. These tours and visits are organized in coordination with governmental organizations such as district forest offices, protected area offices and district soil conservation offices, Sagarnath Forest Development Project and non-governmental organizations such as National Trust for Nature Conservation (NTNC) and International Center for Integrated Mountain Development (ICIMOD). Library at KAFCOL offers over 20,000 books (text and references), and many journals, video, CDs and DVDs. The laboratories in our college are well equipped and well furnished with necessary materials and are managed by dedicated faculty members and technicians. There are different laboratory facilities for General Science, Forestry and GIS. KAFCOL has well-equipped computers laboratory. The computer lab is available to the students during the working hours for assignments, project work and other computer related works. KAFCOL also provides scholarship for 5 students administered by the Ministry of Education. KAFCOL has been granting 50% tuition fee waiver for students ranking first in every semester of bachelor degree program. Also, women topper and a topper among Disadvantaged group and Ethnic group receive 50% tuition fee waiver in every semester. For Diploma program, full scholarship is granted for a student ranking first in annual examination. Similarly, full scholarship is granted for 3 students based on Guideline for Scholarship and Admission- 2071, CTEVT. The international and national institutions are also providing scholarships to the students studying at KAFCOL in both Diploma and Bachelors degree program.